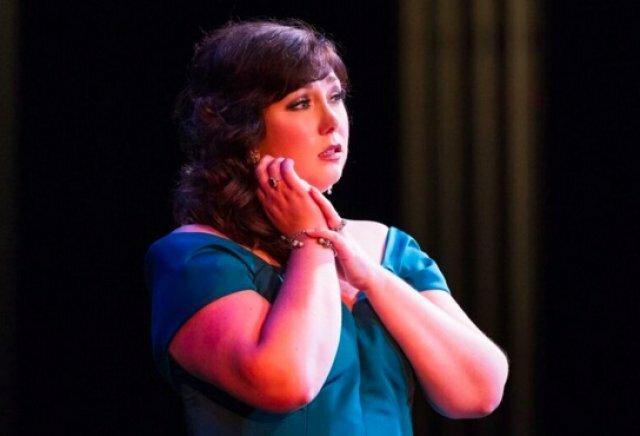 Tamara Mumford, rewarded with her love in version one of Tancredi. Mumford and Woodbury in duet. One of Rossini's contributions to 19th century opera is clear at this moment. Get drama into the lyric passages, include confrontation, express different views in parallel texts, one singer follows the other in brief counterpoints, recollection of the start and then new action. Teresa Castillo backed by the chorus. Christine Lyons as Amenaide in the revised Tancredi. 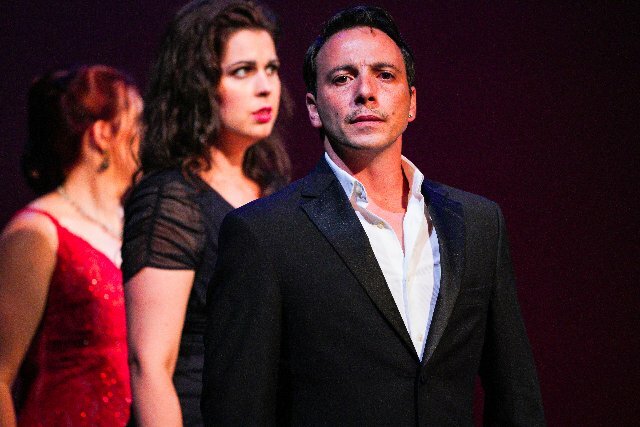 David Margulis is forceful as Argirio. 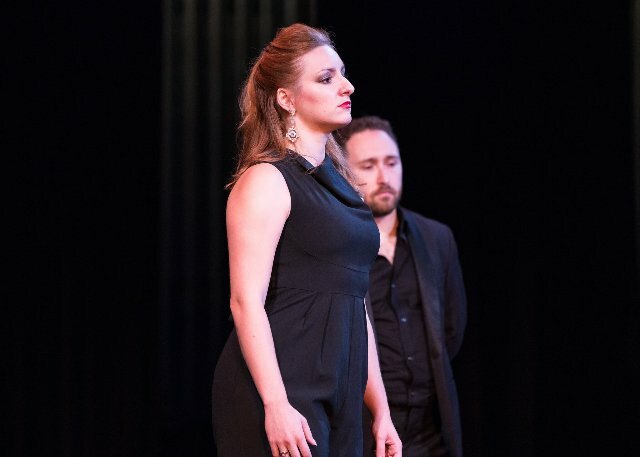 Aleks Romano, a stunning contralto in the role of Tancredi. Augusta Caso, a touching mezzo, sings Isaura. 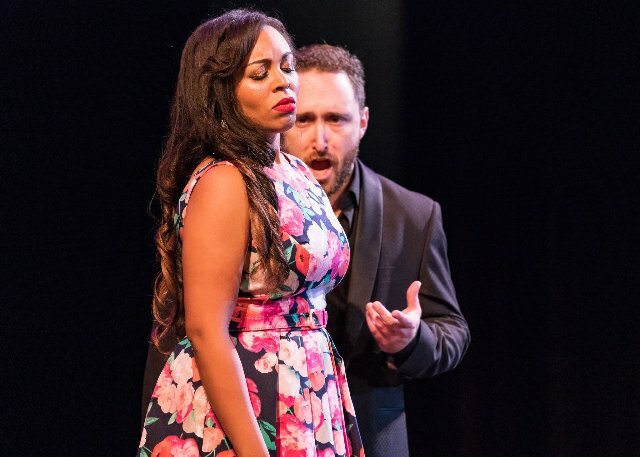 Will Crutchfield’s Bel Canto operas were a highlight of the Caramoor season. He has now moved to the Performing Arts Center at Purchase, which offers more space, and is closer to New York. 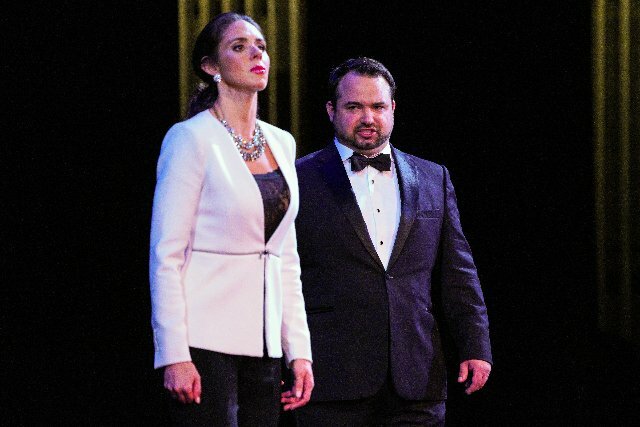 His inaugural program unfolding over 10 days, offered a master class by Jennifer Larmore and smaller concerts interspersed with the semi-staged productions of three operas. 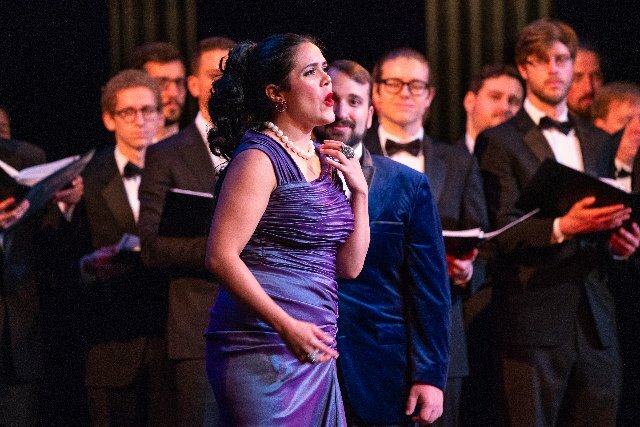 Our memories are pricked with pleasure as we recall heightened opera performances in which the singer inhabits a role, the notes reflecting a musical tone and the emotion of the moment at once. Bel canto singing is not just beautiful singing. It also can be singing in which the character and story get poured into a voice through notes. The result thrills. Crutchfield chose to present transition operas bridging the classic and romantic periods. Gioachino Rossini is a familiar bulwark of early bel canto opera. We do not hear so often of his teacher, German-born composer Johann Simon Mayr, who became Giovanni Simone Mayr when he moved to Italy. There he taught and wrote many operas, which grew out of Mozart and offered elaborate orchestrations. Opportunities for beautiful singing we associate with his better-known pupil Rossini, abound. Interestingly, Rossini’s profound admiration for his mentor is reflected in their lifelong correspondence. 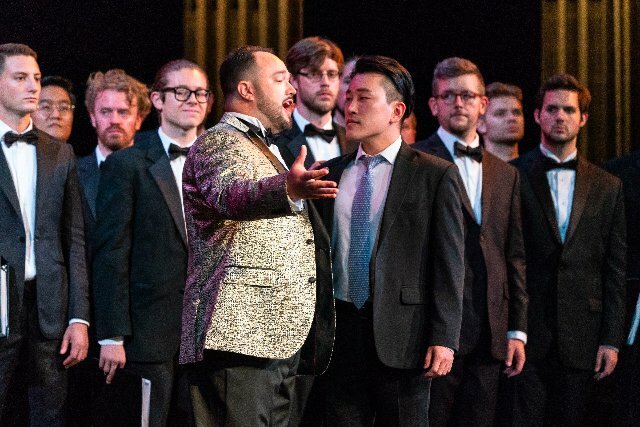 The singing stands out in all three opera performances. Jennifer Rowley as Medea in Mayr’s seldom performed Medea in Corinto was superb. Both composer and singer start out slowly, but as Medea’s pride and honor are assaulted by event after event, Rowley takes advantage of every opportunity the composer provides, detailing Medea's descent from reason to madness in music and song. Rowley made her mark as Roxanne in Cyrano de Bergerac at the Metropolitan Opera in 2017. She is all color and guts, not simply a handsome singer, but one whose voice reflects the subject of her recitatives, cavatinas and cabalettas. Medea's love has been betrayed and she will go to imagined and unimaginable lengths to exact revenge. 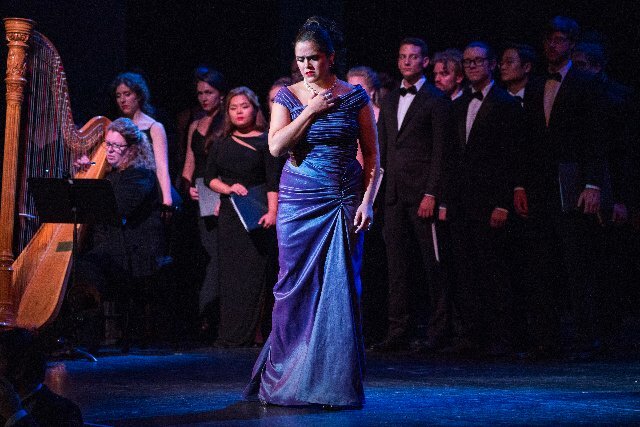 As Medea, Rowley sings an unconquerable woman who can display tenderness amidst the dark and anguished actions of the people for whom she cares in the world. The cast throughout was excellent. Rossini’s early brilliance is on display in Tancredi. 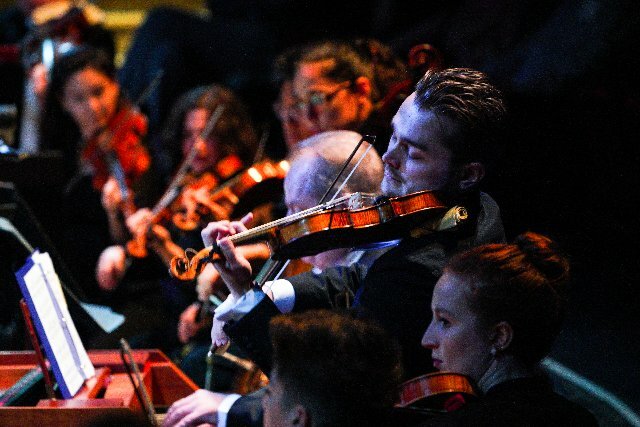 While the young composer was in Venice for the premier of another opera, he was invited by the Teatro La Fenice to compose music for a libretto by Gaetano Rossi based on Voltaire’s five act tragedy. The first two performances were cut short due to illness of the principal singers. A complete presentation was made a week later. The opera was an immediate hit, and has been since its revival in the mid twentieth century. Tancredi in its original form started the Teatro Nuovo weekend, bracketing Medea with the second version. Changes the composer made were added, the altered ending, the most startling. Rossini thought he had provided the requisite death and redemption. The music, however, does not fit the rest of the opera, and feels tacked on. Marilyn Horne made this version famous. She had refused many invitations to perform the opera in its original form. When Horne undertook the role of Tancredi, the second version of the opera had worldwide success. Ewa Podles did a memorable interpretation. 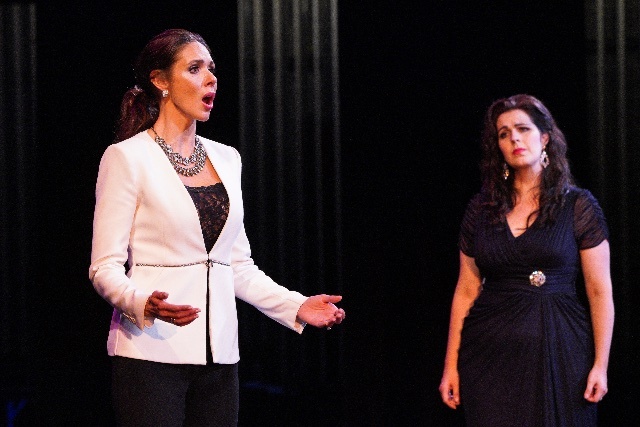 The original Tancredi was sung by up and coming Metropolitan Opera star Tamara Mumford, who did a stunning turn in Kaija Saariaho's Love from Afar. 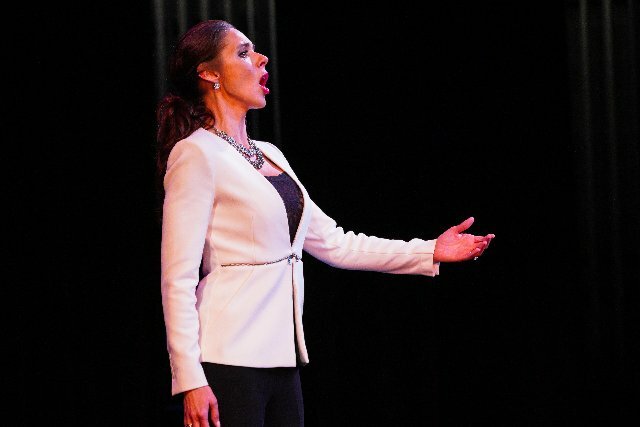 As Tancredi she braves exploration of the voice to match the mood, moving from front to the back of her voice and also into the depth and heights. Aleks Romano undertook the role in the revised version, and she is a force to be attended. If she can be compared to another singer, it is Podles. Her voice resides in the chest, but is not restricted by it. She is in command of her lines and the emotional pitch of her cavantinas and also the deeply felt shorter songs and the fiery displays. Romano has a pulse and sweep that serves character. Her glory seems natural. She is upcoming in Seoul, Utah, North Carolina and Portland. The plot is complicated, its simple heart is not. 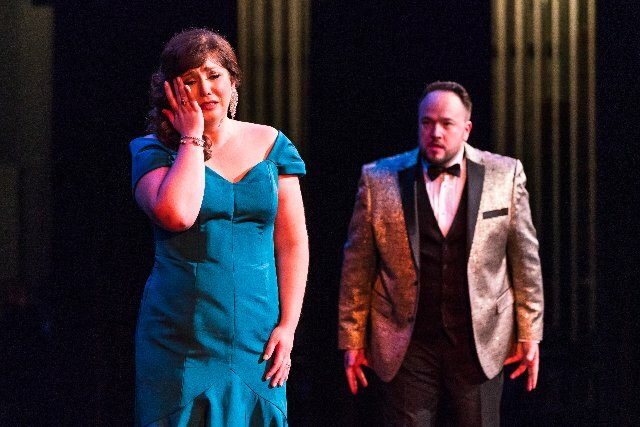 The love of Tancredi and Amenaide, sung beautifully by Amanda Woodbury, is thwarted by misunderstanding and parental intervention to achieve obvious political ends. The beautiful arias, duets and ensembles arise from this central situation. Rossini dressed characters' songs in appropriate emotions. Music serves an expressive purpose. Crutchfield has put together an orchestra of period instruments and ones similar to them. He positions the group so that they face each other and can easily turn to the stage. 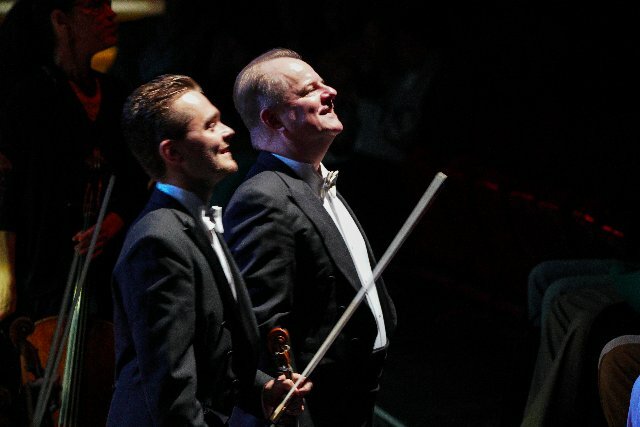 For both Tancredis Crutchfield was the maestro al cembalo, aided by Jakob Lehmann on the violin. Jonathan Brandani was a fine maestro for the Medea. 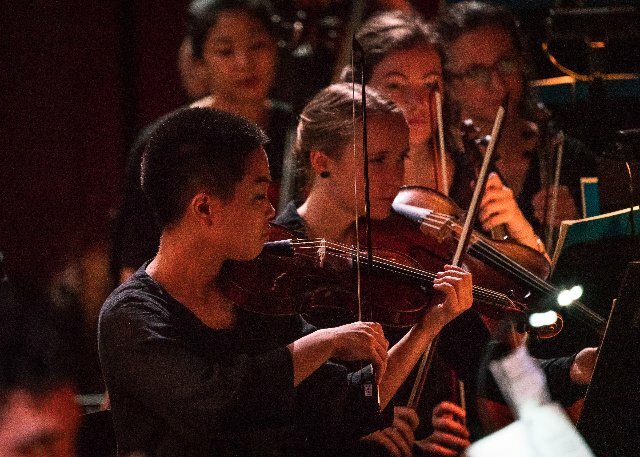 The harp soloist was on stage when she was featured, and other instrumentalists darted in and out of the hall to provide off-stage sounds which enhanced the production. Yet overall you were fixed on the orchestra which felt like a chamber group. Instruments spoke to other instruments and related to the singers. The music was oddly, but engagingly interactive. 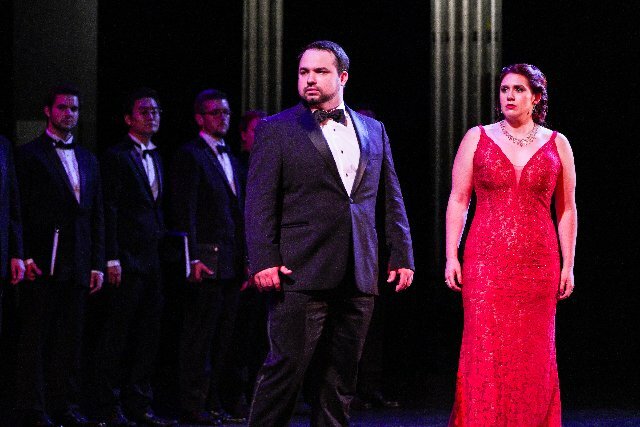 Moving at a brisk pace, but with plenty of time to relish moments of sad and delicate beauty, these operas were a wonderful treat.